It was almost twenty-five years ago; I was introduced to one of the most enlightening books on entrepreneurship I have ever read. 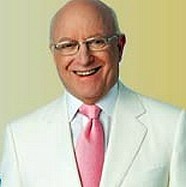 The E-Myth Revisited is one of the most successful business books of the twentieth century. It was voted the #1 business book by the Inc. 500 CEOs. It has sold several million copies, has been translated into almost 20 languages, and is recommended reading for many new franchise owners. This interview we discuss the success of The E-Myth Revisited, Michael's inspiration for creating "In the Dreaming Room" and my personal favorite book, "Awaking The Entrepreneur Within". Michael E. Gerber is a true legend of entrepreneurship. Inc. Magazine calls him "the World's #1 Small Business Guru" - the entrepreneurial and small business thought leader who has impacted the lives of millions of individuals and hundreds of thousands of companies worldwide for over 40 years. Michael E. Gerber is the author of the mega-bestseller "The E-Myth Revisited" and five other E-Myth books concerning small business and entrepreneurship. Additionally, Mr. Gerber has written 14 industry-specific E-Myth Vertical books co-authored by industry experts. These books are written for: Attorneys, Accountants, Optometrists, Chiropractors, Landscape Contractors, Financial Advisors, Architects, Real Estate Brokerages, Insurance Stores, Dentists, Nutritionists, Bookkeepers, Veterinarians, Real Estate Investors and soon to be HVAC Contractors. 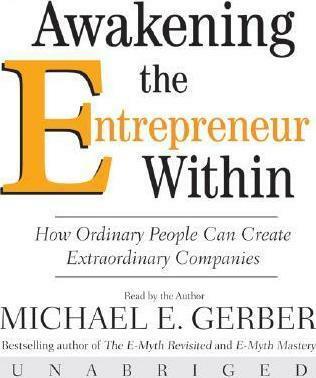 Based on his intimate, in-depth experiences with entrepreneurs in his Dreaming RoomTM events, along with the tens of thousands of clients his company has coached and mentored over the past 40 years, Michael E. Gerber has authored his revolutionary new book on entrepreneurship and The Dreaming RoomTM called: "Awakening the Entrepreneur Within: How Ordinary People Can Create Extraordinary Companies." Click the play button below to listen to the show.